These handmade cremation keepsakes are a beautiful way to remember those we’ve lost. Ashes are carefully and tastefully encased in tactile and ornamental objects and jewellery that are designed to be touched and treasured. Keep your loved one close with this stunning Memorial Glass pendant. 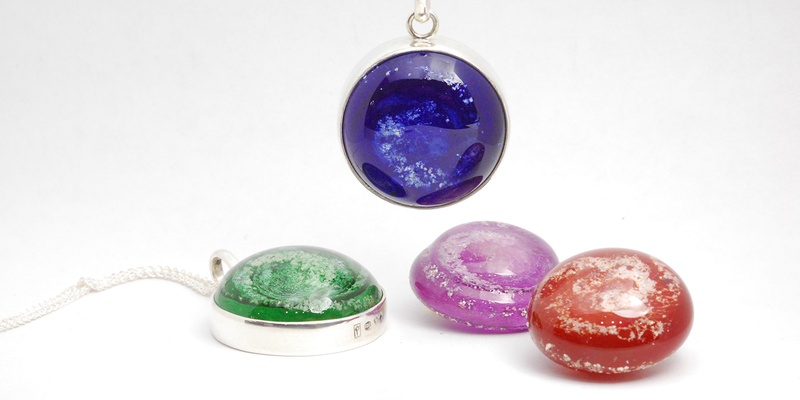 Ashes are encased in a beautiful glass cabochon which is mounted in a sterling silver bezel setting. The pendant is approximately 28mm in diameter and comes with a choice of a 45, 50 or 55cm sterling silver wheat chain. 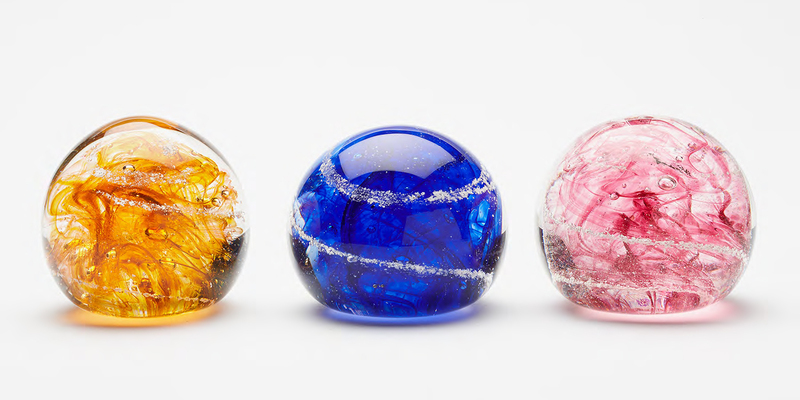 Discrete and Beautiful, objects of personal significance that are ideal to keep in your workspace or anywhere in your home. Each Dome is hand made with great love and respect. Measuring around 7cm they beautiful to look at and smooth to touch. 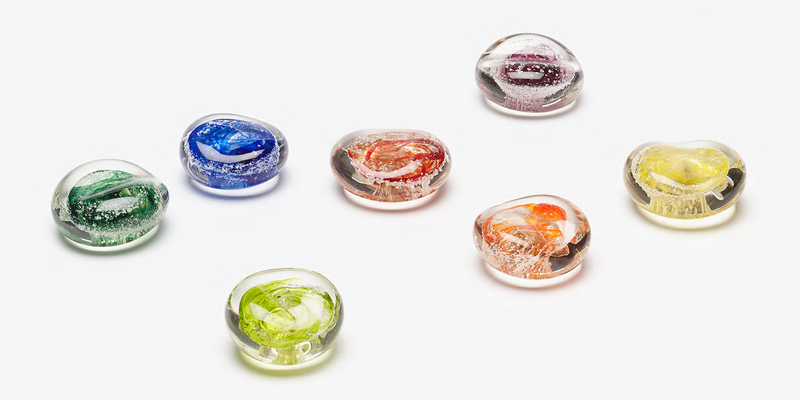 Small and tactile, these beautiful cremation keepsakes act as a touchstone for love and memory. Wonderful to hold, they fit smoothly in the palm of your hand bringing you comfort in times of need. Each stone is individually crafted to include a rich colour and the ashes, which provide a white effervescent presence. Remembering the love shared and they way our heart has been forever touched. 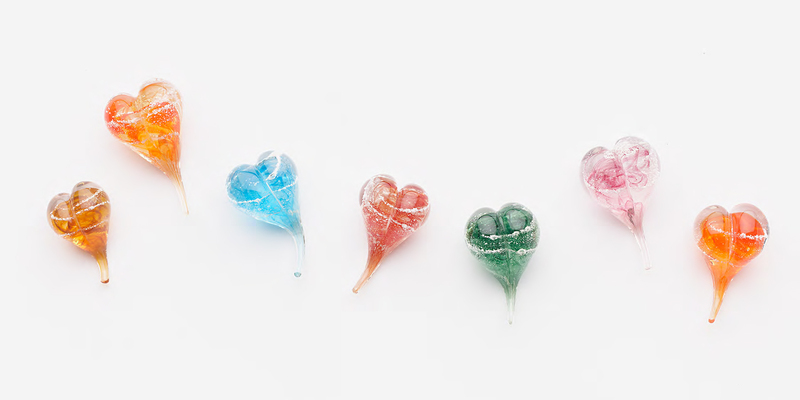 These glass hearts hold comfortably in the hand and can be placed as a beautiful ornament in the home. 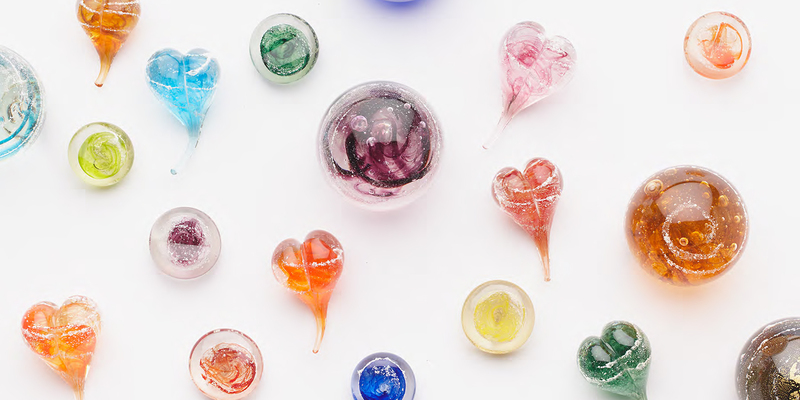 Each heart is hand crafted to incorporate your colour and the ashes, which appear as a white, bubbly trail within the piece.